On Friday August 2nd, we’re playing a very special Brooklyn show with Bill Janovitz (of Buffalo Tom). Our friends in Little Embers are on the bill as well. Cover charge is only $5. Last week’s mid-Atlantic tour dates included an hourlong live-in-the-studio visit to the college radio station at Duke University. Video footage from session captured these acoustic versions of our new songs “Parliaments on Sundays” and “Today Might Be Our Day“. Today we release our new 7-inch single! The record features two brand-new Wormburner songs with an A-side titled “Today Might Be Our Day”. The B-side exclusive (titled “Parliaments on Sundays”) boasts a guest-appearance by Luna’s inimitable Sean Eden on guitar. You can preview and order the record right here. The first 100 pressings will be on limited-edition purple vinyl. Each vinyl copy comes with a free download code. Or if vinyl isn’t your thing, you can purchase the songs a la carte in the iTunes Music Store. Many thanks to North Carolina-based Negative Fun Records for making this happen. Our third full-length record is in the pipeline. Brooklyn Vegan covered our recent show with Old 97s at Brooklyn Bowl. Click here for some great photos courtesy of Kurt Christensen. BIG NEWS! On Friday June 28th, we will open for Texas power-pop legends Old 97s at Brooklyn Bowl. This will be a record-release show for us, with advance copies of our new 7″ single available in limited quantity. You can preview the record here. Doors open at 6:00PM and showtime is at 8:00PM SHARP. Wormburner is the lone opening band. Old 97s hit right after us. Advance tickets are only $15. Get ’em while you can! In July, we will play some mid-Atlantic dates in support of our new 7-inch single. Check out the right side of this page for more details. The 7-inch single features two brand-new Wormburner songs. The official release-date will be July 16th via North Carolina-based label Negative Fun Records. But right now, you can preview and pre-order the record right here. 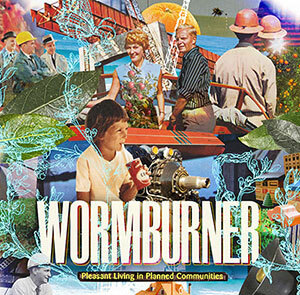 North Carolina-based Negative Fun Records will release a Wormburner 7″ single this summer. We are very excited. 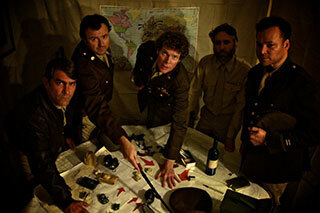 Stay tuned for more details about the single, tour dates, and a full-length record to follow. We’ve been in the studio working on songs for our third LP. Stay tuned for news about the release of an advance-single and related tour dates. Last night at a sold-out Mercury Lounge, Wormburner was joined onstage by Gordon Gano of The Violent Femmes. We performed Gordon’s original Christmas song “Merry Christmas, Brother”. Here’s some great video footage. A concert-goer also captured video of Wormburner’s own original Christmas song The Bells of St. Ignatius. Thanks everyone for a fantastic 2012! We’ll have a new record out in 2013. The date is set for our Annual Christmas Show! Join us at The Mercury Lounge on Thursday December 20th for a full Wormburner set followed by an all-star lineup of guests performing your favorite yuletide classics. As usual, Lifeguard Nights will open the show. And our friends in East River Bandits will celebrate their debut record release. Doors open at 7:00PM. Advance tickets are only $12. Our third LP! This album’s cast of desperate characters includes a downed airman in WWII Europe, a 21st Century soldier returning home from battle, and a transient gay hustler whose youthful looks are weathering with age.